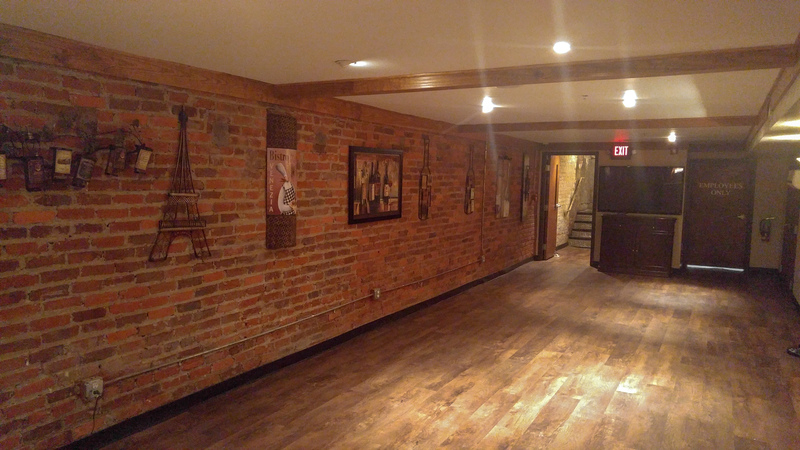 We offer a private dining area in our Wine Cellar for special events, business meetings, or just because! 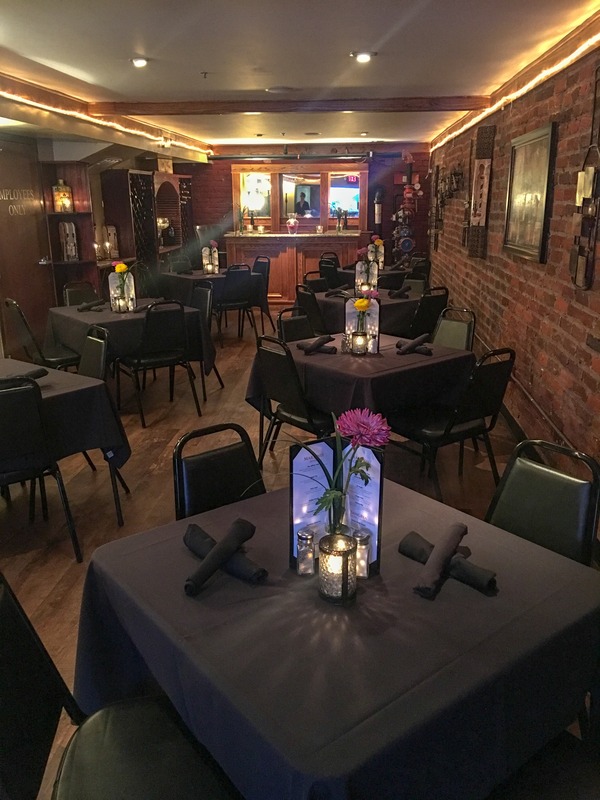 There’s a flat screen TV with HDMI hookup, seating for up to 38 people, a full bar, and your choice of three different 3-course dinners or hors d’oeuvres. The menus can be altered and most special requests can be accommodated. You’re welcome to bring decorations and cake for special occasions, but please no confetti. If you’re looking for a full, three-course evening, then we offer a preset menu starting at $27 per person, plus tax and gratuity. We also offer heavy hor-d’oeuvres, set up in a buffet style. Prices are set in 20 person increments. Rental fees and a deposit are required at time of reservation in order to hold the space. Just give us a call to reserve the space!